“My husband accidentally shot me,” Hill, 75, of The Dalles, Ore., groaned on the May 16, 2015, call. “In the stomach, and he can’t talk, please …” Less than four feet away, Hill’s husband, Darrell Hill, a former local police chief and two-term county sheriff, sat in his wheelchair with a discharged Glock handgun on the table in front of him, unaware that he’d nearly killed his wife of almost 57 years. The 76-year-old lawman had been diagnosed two years earlier with a form of rapidly progressive dementia, a disease that quickly stripped him of reasoning and memory. “He didn’t understand,” said Dee, who needed 30 pints of blood, three surgeries and seven weeks in the hospital to survive her injuries. A working paper entitled “Millennial Marriage: How Much Does Economic Security Matter to Marriage Rates of Young Adults” finds that socio-economic indicators associated with labor force participation, wages, poverty and housing all relate to marriage rates for young adults ages 18 to 34. Specifically, full-time employment, median annual wages for all types of workers, and owning a home were associated with higher marriage rates. 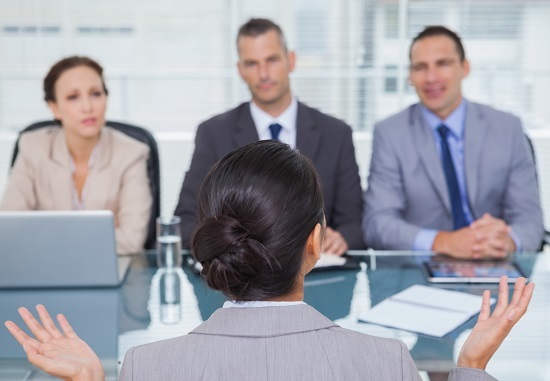 It is now illegal for employers to ask job applicants about their previous salary in at least eight states and eight counties and cities. The laws and ordinances passed in the last two years are aimed at narrowing the persistent pay gap between men and women. A prospective employer who knows your current salary can offer you a pay bump based on that figure – or keep your new salary low. If you’re a woman, you likely make less in your current job than a male recruit with the same skills and experience. 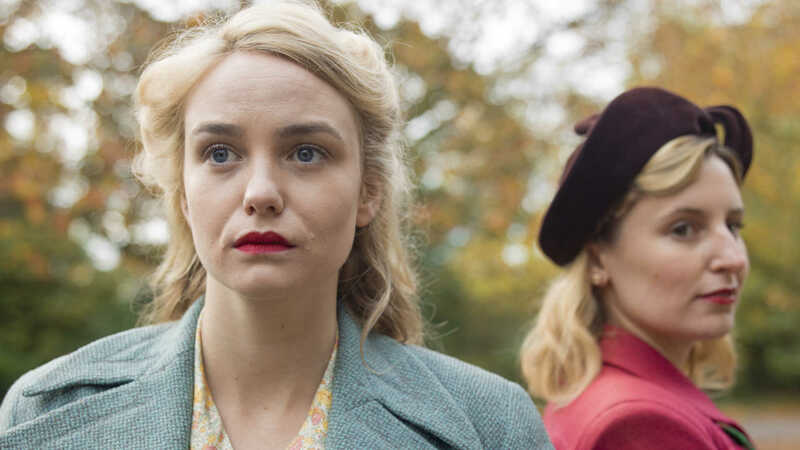 A new report from the Innovation Group London and J. Walter Thompson explores the lifestyles and attitudes of British women aged between 53 and 72. Over two thirds (69%) of 'Elastic' women think the fashion industry ignores people their age while 82% think that the clothes that are aimed at them are “way too old-fashioned.” Elastic women are tired of negative stereotypes about them when it comes to technology: 73% say they hate the way their generation is patronised when it comes to tech while 78% express no desire to buy technology that is especially designed for older people. It’s time for brands to forget the digital myth – these women were there in tech’s infancy. Everything has its blossoming time. The petals are now beginning to fall, coating the back lawn with color. And now the rest of the garden is starting to expand. I am looking forward to the tomatoes we already planted and to the hibiscus that are just starting to peek out of the dirt. But meanwhile, I appreciate what I can see. 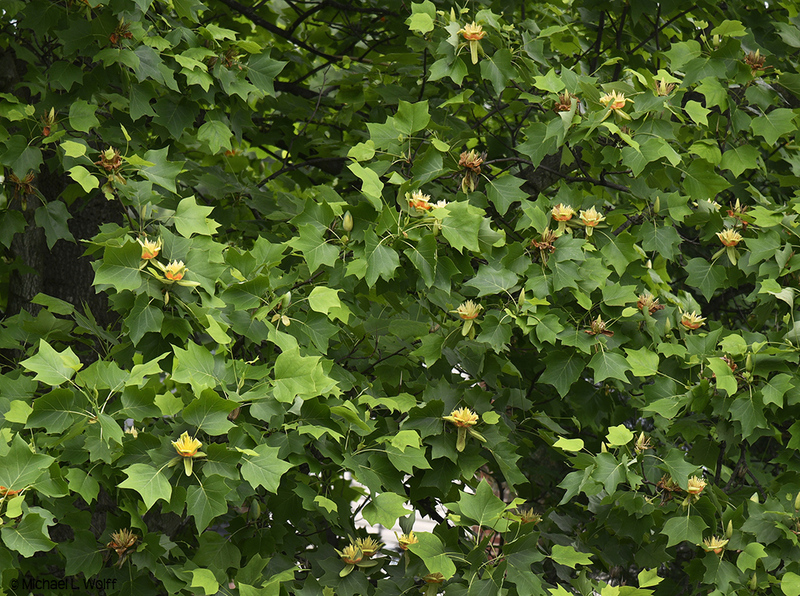 When the flowers are all gone, the Tulip Tree will provide us with welcome shade. Ah, sitting outside with nature and being in the moment — another delightful gift. Learn about the country from the US State Department website, including visa requirements, local laws, customs, and medical care in the countries where you will be. Check for any Travel Advisories for your destination. Enroll in the Smart Traveler Enrollment Program (STEP) to receive important safety and security messages and make it easier for us to locate and assist you in an emergency. Keep the contact details for the nearest US embassy or consulate with you. The State Department is available for emergencies 24 hours a day, 7 days a week, overseas and in Washington, D.C. (888-407-4747 or 202-501-4444). "While we are alarmed about the impact that separation of families will have on children, we are also deeply concerned that implementation of this policy will exacerbate a foster care and Department of Health and Human Services (HHS) unaccompanied alien children (UAC) system already stretched to capacity. 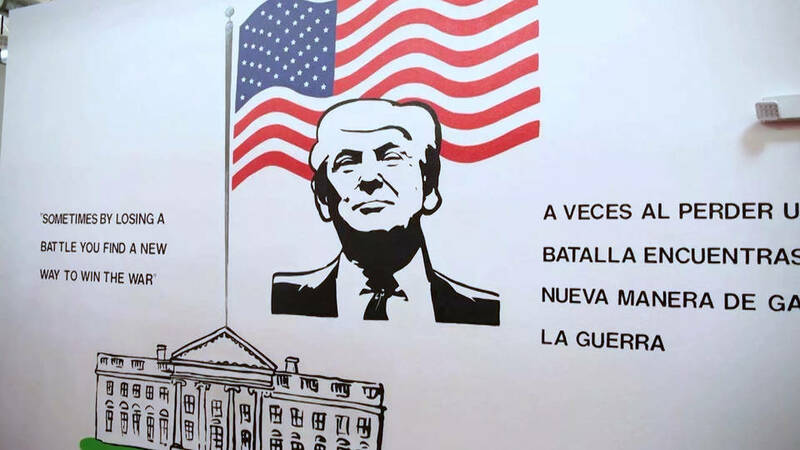 Under the current policy, after parents are placed in adult immigration detention centers, the children are transferred to HHS, which is then responsible for caring for the children or finding suitable caregivers. HHS therefore must vet potential caregivers or send children to group facilities across the country." The 1950s was a decade of change. The Second World War was over, and American influence was sweeping across the Nordic region. There was more money around, more people were in work, and in terms of fashion the range of ready-made clothes was ever-increasing. Many women were also good at sewing, and shops and women’s magazines had plenty of patterns to choose from. The My 1950s exhibition gives visitors an insight into every level of clothing, from everyday wear to the finest finery, worn by everyone from wealthy big-city fashionistas to women in rural areas. Rep. Carolyn Maloney (D-NY)/Education and the Workforce introduced a Bill; Oversight and Government Reform; House Administration (6/13/18)—A bill to permit leave to care for a domestic partner, parent-in-law, adult child, sibling, grandchild, or grandparent who has a serious health condition, and to allow employees to take, as additional leave, parental involvement leave to participate in or attend their children’s and grandchildren’s educational and extracurricular activities. Sen. Debbie Stabenow (D-MI)/Finance (6/12/18)—A bill to ensure access to mental health and substance use disorder services for children and pregnant women under the Children’s Health Insurance Program, and for other purposes. Atty General Jeff Sessions, April 6, 2018: "I direct each United States Attorney's Office along the Southwest Border to the extent practicable, and in consultation with DHS- to adopt immediately a zero-tolerance policy for all offenses referred for prosecution under section 1325(a). This zero-tolerance policy shall supersede any existing policies. If adopting such a policy requires additional resources, each office shall identify and request such additional resources." The FDA today issued guidance and a supporting science review identifying eight additional non-digestible carbohydrates (NDCs) that the agency intends to propose to add to the list of non-digestible carbohydrates that meet the definition of "dietary fiber" that was established in the Nutrition Facts label final rule. The FDA also issued responses to citizen petitions requesting that additional NDCs be added to the definition of "dietary fiber." These actions provide industry with additional clarity to update their product labels and accurately declare dietary fiber content on the Nutrition Facts and Supplement Facts labels for consumers. Rose Madeline Mula writes: Why do high fashion models always look so angry? Is it because they’re in agony teetering on those ridiculous six-inch stilettoes — or because they’re forced to wear ugly outfits like flouncy dresses with unlaced combat boots and plaid skirts with flowered shirts. One ad featured a model in profile, wearing a nondescript dress, striding purposefully ahead. Her arm hung by her side, and from her hand a smallish pocketbook, which she held by a long strap, dangled almost at street level. Flames were shooting from the pocketbook, which didn’t seem to concern her a bit. "Under the Federal Food, Drugs and Cosmetic Act (FD&C Act), a product intended to diagnose, mitigate, treat, or prevent disease, or to affect the structure or function of the body is classified as a drug. If such a product is not generally recognized by qualified experts as safe and effective when used as labeled, it is a “new drug” and requires an approved New Drug Application to be marketed legally in the United States. FDA issued Warning Letters, citing drug claims associated with topical skin care, hair care, and eyelash/eyebrow preparations, noted on both product labeling and Web sites. Some examples of the drug claims cited are acne treatment, cellulite reduction, stretch mark reduction, wrinkle removal, dandruff treatment, hair restoration, and eyelash growth." Reprise, Bobby Kennedy, The Train: "Each time a man stands up for an ideal, or acts to improve the lot of others, or strikes out against injustice, he sends forth a tiny ripple of hope"
On June 8, 1968, three days after the assassination of Robert F. Kennedy, his body was carried by a funeral train from New York City to Washington, DC, for burial at Arlington Cemetery. The exhibit looks at this historical event through three distinct works. The first is a group of color photographs by commissioned photographer Paul Fusco. 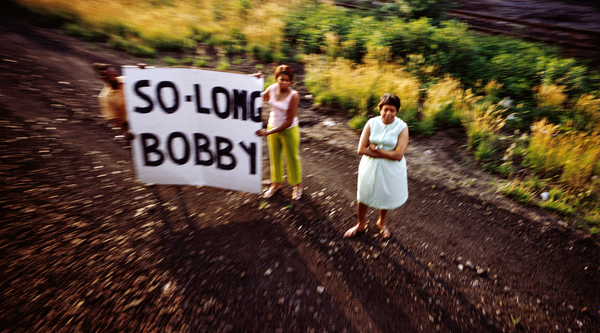 Taken from the funeral train, the images capture mourners who lined the railway tracks to pay their final respects. The second work features photographs and home movies by the spectators themselves. The third is a 70mm film reenactment of the funeral train's journey, inspired by Fusco's original photographs. During our 30-year-marriage, the two of us constructed a wall. Tiff-by-tiff, the bricks grew taller and more impenetrable with each year, until it toppled in divorce. My second marriage was a pleasure cruise. We sailed along watching the same TV programs, walking our dog, taking occasional vacations — and on the rare instances we argued, it was always Tommy who said, "Let's not be mad at each other. Let's talk about it." A few words, maybe a tear from each of us, hugs, and then it was over. Lawmakers from at least 30 states considered bills on pharmacy benefits managers this year. New laws have been enacted in more than a dozen states, with more awaiting governors’ signatures. Legislators were motivated to act on the issue “because it affects the ordinary consumer,” said Richard Cauchi, the health program director for the National Conference of State Legislatures... The gag clauses are inserted into contracts with pharmacies by pharmacy benefit management companies, and they prohibit druggists from telling patients or caregivers about lower prices or cheaper drug options, such as generic drugs. Although indicators of economic activity were on the soft side earlier in the year, the outlook for the remainder of 2018 remains quite positive, supported by sizable fiscal stimulus as well as still-accommodative financial conditions. In the latest report, real gross domestic product (GDP) increased 2.2 percent at an annual rate in the first quarter of 2018, a slowdown from the 3 percent pace in the final three quarters of 2017. While the unemployment rate is now lower than before the financial crisis, the employment-to-population ratio for prime-age workers remains about 1 percentage point below its pre-crisis level. It is an open question what portion of the prime-age Americans who are out of the labor force may prove responsive to tight labor market conditions. "Since 2007, when EWG published its first Sunscreen Guide, many sun protection products sold in the US have become safer and federal regulators have cracked down on some of the worst phony marketing claims. Two-thirds of the products we examined offer inferior sun protection or contain worrisome ingredients like oxybenzone, a hormone disruptor, or retinyl palmitate, a form of vitamin A that may harm skin. And despite scant evidence, the government still allows most sunscreens to claim they help prevent skin cancer. Over the course of 12 years, EWG has uncovered mounting evidence that one common sunscreen chemical, oxybenzone, poses a hazard to human health and the environment. It is an allergen and a hormone disruptor that soaks through the skin and is measured in the body of nearly every American." 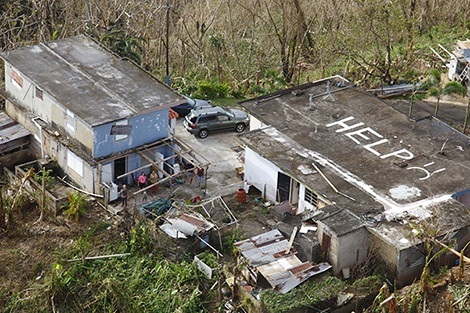 The study estimates a death rate of 14.3 deaths per thousand between September 20 (date of Hurricane Maria) and December 31, 2017, up from a rate of 8.8 deaths per thousand at the same time in 2016. About one-third of the reported deaths in the households surveyed in the study were attributed to delayed or prevented access to medical care. The mortality rate in Puerto Rico rose by 62% after Hurricane Maria, according to a new study led by researchers from Harvard T.H. Chan School of Public Health. The NIH Pain Consortium was established to enhance pain research and promote collaboration among researchers across the many NIH Institutes and Centers that have programs and activities addressing pain. The consortium supports initiatives, development of research resources and tools. This symposium features NIH supported researchers whose work has made an important contribution to pain research. Joan L. Cannnon wrote: It's been a while since I have had the unique pleasure of sitting above the common order of humanity, to become a part of the grace and strength of the horse under me. We communicated through my fingers on the reins, the nervous ears in front of my face, and the sensation of leashed energy of half a ton of controlled power on which I perched like a paper monarch on sufferance. Anyone on horseback becomes a new person somehow more important, who exists until her feet touch the ground again.